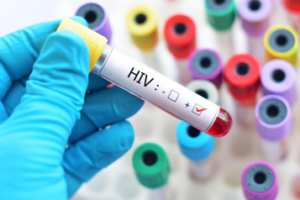 In the past, testing positive for human immunodeficiency virus (HIV) left patients feeling hopeless as it was not well understood, and treatment options were very rare. Today, however, with advancements in HIV therapy, living with HIV is much more like managing a chronic condition like high blood pressure or high cholesterol. When it comes to HIV, remembering to take your medication(s) daily as directed more than 95% of the time is necessary for them to be the most efficacious. This means if you take your HIV medications once a day, you can miss no more than one dose per month. If you take your HIV medications twice a day, you can miss no more than three doses per month. As important as it is to remember to take your medication(s), it can be overwhelming if you are taking multiple pills for your HIV. Juluca is the first two-drug, single-tablet, once daily complete regimen for HIV patients who are undetectable and have been without symptoms for at least six months. Juluca, which contains the drugs dolutegravir and rilpivirine, stops HIV from integrating itself into your healthy cells and works to block its replication. Single tablet medications such as Genvoya® and Stribild® have four medications in them while Juluca has only has two, which means fewer potential side effects and fewer potential drug interactions with other medications. Juluca was tested in two clinical trials in which patients either continued their current HIV medications or switched to Juluca. These studies included patients who were already undetectable (i.e., levels of HIV were so low in the body that blood tests could not detect it) for at least six months and during the trials 95% of patients remained undetectable after making the switch. It was concluded that one pill with two medications was as successful as the three- or four-drug regimen they were previously taking! Ask your doctor if Juluca may be right for you. Next post Flu Shot a Year Keeps the Virus in Fear!